Tie rods are often used in steel structures, such as bridges, industrial buildings, tanks, towers, and cranes. ... In ships, tie rods are bolts which keep the whole engine structure under compression. They provide for fatigue strength. They also provide for proper running gear alignment which prevents fretting. We are selling all kind of Scaffolding Accessories LikeCupplerWing Nut Tie RodAnchor Nut & many more products. Being a well-distinguished company in the market, we are into offering Scaffolding Accessories. Being a noteworthy business enterprise, we are readily indulged in presenting to our customers a comprehensive collection of Construction Shuttering. Our clients can avail from us a wide range of Scaffolding that is designed to perfection by our expert professionals. Offered in various specifications, these are further quality tested on well-defined parameters before supplying it to our clients. Taking care of every industrial need we are offering a variety of Forged Double Angle Coupler. Clients can be assured of its quality as the materials used are acquired from reliable vendors. We follow international standards and alter the designs accordingly. The offered range is long lasting and value for money. We are indulged in offering Casing Caping Coupler to our clients. This is manufactured using premium grade raw material that is specially tested before manufacturing the final assortment. It is widely appreciated for its durability, superior strength, surface finish and toughness. We bring forth an excellent array of Scaffolding Fittings, which can be easily erected in circular form or as per the needs of the customer. These scaffolding are highly durable, easy to handle and are offered at industry leading prices. Used for different dismantling and erection functions, our range of Scaffolding is the safest option available in the market. With its rugged steel frames, Staxo 100 is de­signed for large shor­ing-heights and high loads. It unites high load ca­pac­i­ty and safe­ty, in ev­ery si­t­u­a­tion. 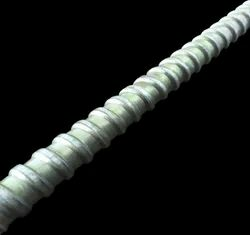 Lapped joints are not always an appropriate means of connecting rebar. The use of steel couplers can simplify the design and construction of reinforced concrete and reduce the amount of reinforcement required. 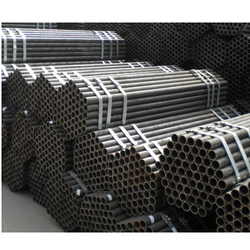 The product range includes, Scaffolding Tubes as per BS 1139, Scaffolding Components like Cuplok Systems, Props, Jacks, Fencing Panels, etc.